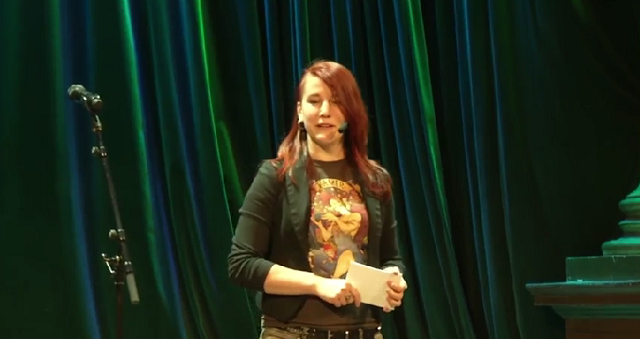 Anna Jelenius has been a regular and active fixture within the industry speaking circuit for a few years which she combined with her role at Paradox Interactive. Spurred on by a desire to create and release her own works she took the plunge and went indie. She takes a few minutes to talk about her first title – Midvinter as well as her plans for the future. From Paradox to going indie, could you briefly outline the transition and your primary reason for making the move? I had been working with testing for over three years, and while it was interesting and I learned a lot, I was ready for a new challenge. When we didn’t find anything that suited me within the company, I started to consider my alternatives. Writing has always been a passion of mine, so I decided to see if I could do that for a living. I was to learn, however, that one does not simply land a writer job without any previous experience. In the end, I decided to take matters into my own hands and start my own narrative-focused game company. So far, it has been great! What have been some of the challenges and lessons learnt? There are so many great games fighting for attention on the market today, which makes it extremely hard for a small indie to get seen. For me, it has meant that I have had to learn a lot about marketing and finding ways to stand out in the crowd. While the greatest challenge I’ve faced by far, it has been very interesting. I went solo partly because I wanted to learn all parts of game development, so this crash course has been great. Another thing I have learned is how incredibly important support from the people around you is. A kind word or a piece of advice at the right moment can mean a lot for a small project, and it definitely did for Midvinter several times. I’m going to do my best to pass that support on to others in the future! Why the decision to opt for a point & click title set in Swedish folklore as your first project? I came up with the theme while on a train going south to I believe it was Creative Coast last year. When I saw the beautiful landscape outside the window, all the stories of gnomes and trolls I heard as a child popped into my head. As I started to consider what one could do with them, I realized the potential of using puzzles to simulate a gnome’s tasks on the farm. When I later needed a setting for the point-and-click I wanted to make, it felt like the perfect fit. I chose the genre partly because I really enjoy it myself and saw a desire for new titles on the market, but also because the mechanics are relatively simple. I hardly knew how to code when I started the project, so I needed something that was not too challenging. Any plans to expand on Midvinter with extra content? While developing it, I have been thinking of Midvinter as a story on its own that does not require additional chapters. The biggest complaint people have had, however, is that it is rather short (which I see as positive – people seem to want more). I might expand on the game in the future to meet that demand, releasing more stories taking place in the same universe. Before that, however, I have plans on making at least one other original title. What’s next for Talecore Studios? First off, I will be making a mobile version of Midvinter and of course continuing to support and market the game. After that, the plan is to start working on a massively branching story game about a woman who has a really tough life but also ways of overcoming that. Really looking forward to digging into that one, and I hope people will enjoy it in the end! To learn more about Midvinter as well as to support Talecore by buying the game, head to the Steam page.